Cardiovascular disease, the leading killer of men and women in the United States, contributes to 2,400 deaths each day. Periodontal disease, a chronic inflammatory disease that destroys bone and gum tissues that support the teeth affects nearly 75 percent of Americans and is the major cause of adult tooth loss. While the two diseases may seem unrelated, evidence is mounting that people with gum disease may be at higher risk for heart disease. 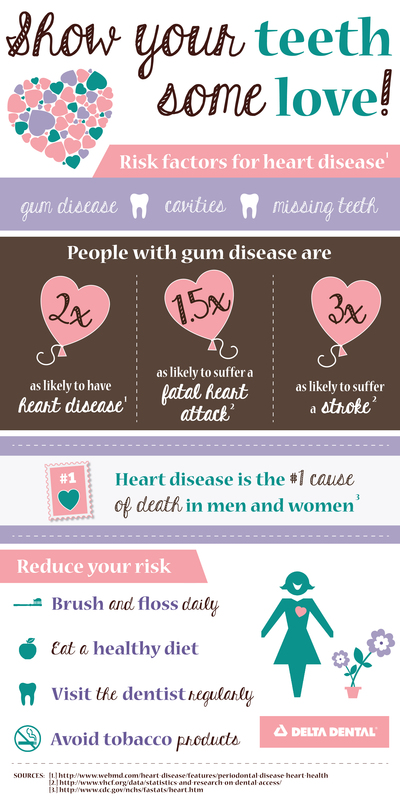 In fact, gum disease may worsen existing heart conditions. 3. Visit your dentist regularly for exams and cleanings. 4. If you currently have heart disease, talk to your dentist about your diagnosis and create a treatment plan aimed at maintaining good oral hygiene.